Hi! Welcome to another fabulous day of Bake Craft Sew Decorate! Catch all the Christmas and Holiday Decor Ideas you may have missed last week here. In case you’re new, this month we are teaming up with our blogging friends Cindy, Mique, and Leigh Anne! 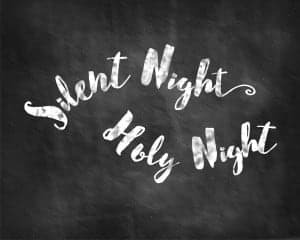 Cindy will be doing sewing ideas on SkiptomyLou, while Mique from Thirty Handmade Days, will be posting craft ideas, and Leigh Anne from Homebased Mom will be posting delicious edible gift recipes so follow along all month long! 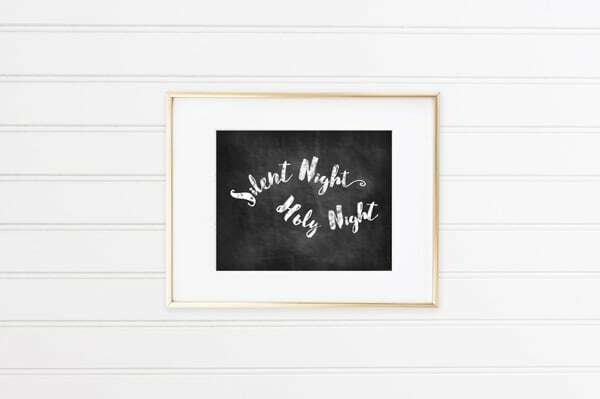 These free chalkboard Christmas printables will easily dress up a mantle or gallery wall and bring the spirit of the season right into your decor. Hi friends! I’m Kimber, I am usually blogging over at The Pinning Mama, where I share anything and everything you would find on Pinterest, but I am so thrilled to be over here with some of my favorite gals at Classy Clutter today! They have been talking everything decorating lately, and rightly so, because they are PROS! I am pretty humbled to get to be here sharing some of my favorite ways to decorate for the holidays with you! Each season when a new holiday rolls around, I love to change up the decor seasonally with printables. It is an almost effortless way to keep your mantle or gallery wall fresh when you keep a frame that you can just rotate a seasonal print into as the weather changes or a holiday approaches. Secret: when you do this, people think you are super together since you are always decorated just right, but the truth is that it is just too easy! I have loved decorating with prints for a long time, but over the past couple of years I have learned to create them myself. I made three special ones just for the Classy Clutter fans today! 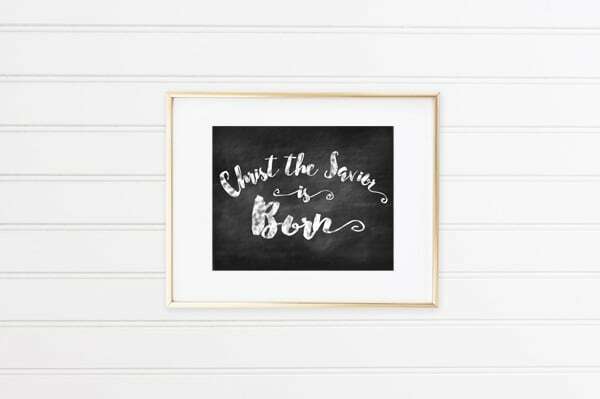 I think chalkboard prints are timeless and can incorporate into your decor whether you are more traditional or even bold and modern so I put these together to share. 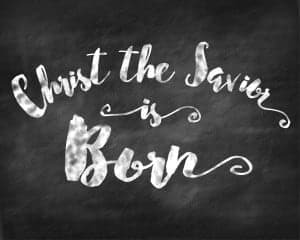 Hopefully they will make your Christmas merry and bright and help you to remember the reason for the season! If you get a chance to use them in your decor, I would love it if you tagged me (@thepinningmama on Instagram) and of course Classy Clutter (@classyclutter) so I can see how lovely it looks! Grab the freebies below- All are sized for 8×10 frames. Thanks so much for sharing Kimber!!! We LOVE these darling prints! 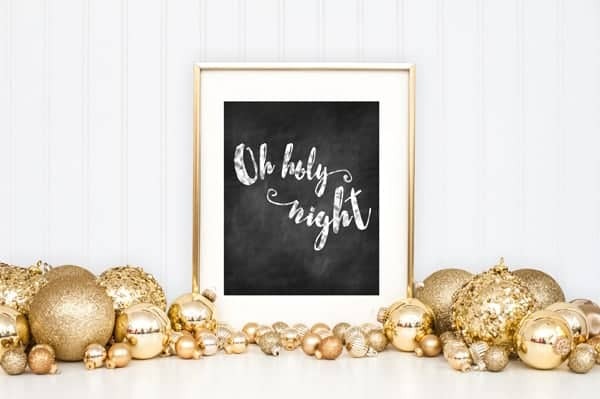 Chalkboard prints are so perfect for Christmas! If you’re not already, be sure to follow Kimber on her blog, The Pinning Mama and on Facebook, Instagram and Pinterest! These are beautiful! Is there any way to get another size in these? Thank you Tanya! I have a special place in my heart for Chalkboard. Make sure you stop by to grab even more freebies over on The Pinning Mama! Thank you so much! I hope to incorporate it in my Holiday decor this year! Aren’t they just the cutest! Glad you could use it! Thanks for stopping by!